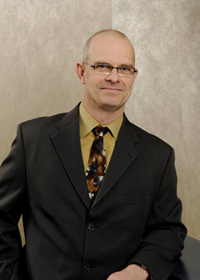 John Poyser is a partner with Tradition Law LLP Estates and Trusts in Winnipeg. He also has an office and practices in Calgary as the Wealth and Estate Law Group. In Toronto he practices as a senior litigation lawyer with WEL Partners LLP. His Manitoba and Alberta practices are limited to estate litigation and estate planning. His Ontario practice is limited to estate litigation. In his litigation practice, he challenges and defends transfers of wealth by wills, gifts and trusts. In his planning practice, he helps clients pass wealth from one generation to the next while minimizing taxes and building structures to improve the lives of beneficiaries. Nationally, he is past chair of the Wills, Estates and Trusts Section of the Canadian Bar Association (the “CBA”, and a past Deputy Chair of the Society of Estate and Trust Practitioners (“STEP”). Internationally, he sat as a member of STEP’s Worldwide Council from 2013 to 2016. He has also filled various roles at a provincial level, serving as co-chair of the Wills and Estates Section of the Manitoba Bar Association, and chair of the Winnipeg Chapter of STEP. As an author, he wrote Capacity and Undue Influence, an eight-hundred page textbook published by Carswell in 2014 canvassing the law relating to the transfer of wealth by will, gift, and trust, and with attacks of those transfers. As a prior project, he coauthored ten editions of a textbook for Carswell entitled The Taxation of Trusts, a Practitioner’s Guide, dealing with taxation and planning issues relating to trusts and estates. John is also a regular contributor of articles, practice notes, and case comments appearing in The Estates, Trusts and Pensions Journal. Founding Editor of The National Concordance, he created a compendium that assembles and compares succissio9n law across Canada, jointly published on-line by the CBA and Westlaw ECarswell, and continues in the role of Managing Editor for that publication. He is one the Associate Editors of The Estates and Trusts Reports. He currently chairs the Steering Committee for the Cambridge Forums Senior Practitioner’s Forum on Estate Litigation, an invitation only national conference for peer-selected lawyers dealing with estates and trusts. As a lecturer, he speaks across Canada for law societies and bar associations. Winnipeg, MB, R3C 1M5 1001-888 3rd St. S. W.